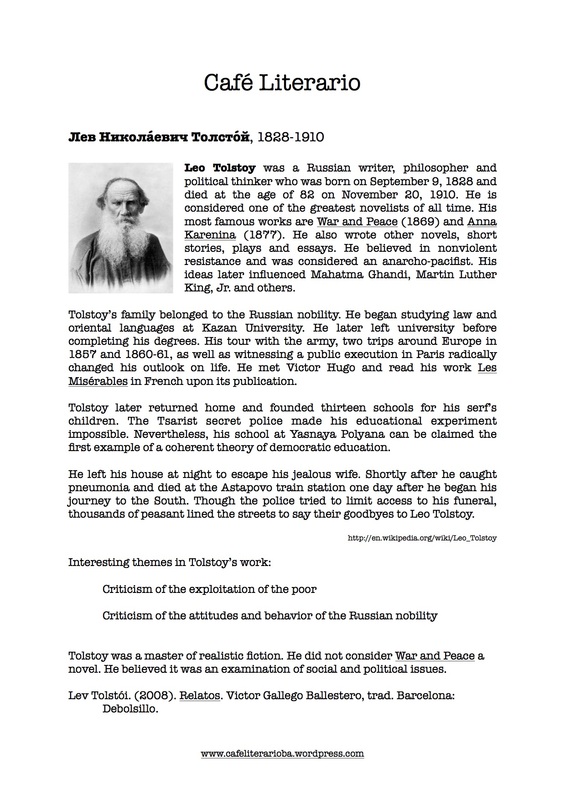 Leo Tolstoy is well known for his novels, War and Peace and Anna Karenina. He is less well known for his short stories. The stories that we read in our last meeting were rather didactic and straight-forward. The author left very little to the reader’s imagination. This can be seen as a lack of literary style or creativity. While there is no doubt the author could have embellished his stories or made them into mini-masterpieces, it appears that his desire goes far beyond writing good literature. Tolstoy was well known for his criticism of the Russian nobility and their ostentatious lifestyles. More than once he wanted to run away from his life as a Russian noble. He understood human flourishing as much more than having and administrating goods. His idea of being human had much more to with being good. Our society today is more interested in “dealing goods” than in “being good”. While culturally and most certainly geographically, Russia may be thousands of kilometers from Buenos Aires, Tolstoy’s call for a more humane society rings true today in this place. 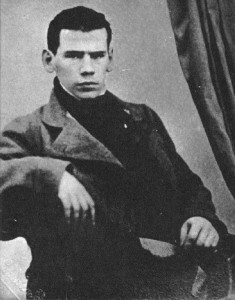 Tolstoy is also known for being an anarcho-pacifist. He insisted on nonviolent resistance as the path for a more humane society. He did not believe in the myth of redemptive violence — the idea that violence can end violence. His ideas not only found a great following in Russia, but in India and in the U.S.as well with people like Mahatma Ghandi and Martin Luther King, Jr.
Tolstoy asks us today through his stories, “what do you see when you look at other people?” “Can you look past what defines them socially?” “Can you look your neighbor in the eye and see him for who he or she truly is?” His prophetic voice was certainly not silenced by his death. He is, in many ways, still present with us today.